The people of Vonore consist of a vast array of backgrounds, from the farmer who grew up on the very land he now lives and tends to the retired person who found this "diamond in the rough" while surfing the internet for a retirement community to move and enjoy away from the hustle and bustle of the fast corporate and city life styles. The geographical location of Vonore along the Little Tennessee River has long been the envy of developers arid politicians and this very valuable natural advantage led to some of the most disruptive years in recent times. Vonore's geographical advantages gave rise to one of the most outrageous governmental land grabs in recent history. With the aid of biased media representatives, prejudiced jurist and constitutionally questionable laws, the Tennessee Valley Authority (TVA) began the Tellico Project. This project involved the construction of the Tellico Dam and the resulting Tellico Lake caused the inundation of most of the prime river bottomland along the Little Tennessee River and resulted in the relocation of persons of influence and leadership from the area. This project involved TVA'S acquisition of some 38,000 acres of land in portions of Blount, Loudon and Monroe Counties. Of this acreage, l,841 acres comprise the river channel. About 8,447 acres were designated as prime farmland, about 5,488 acres were designated as land of statewide importance for agriculture, and 22,224 acres were undesignated, there proper use (in terms of agricultural capability) being limited to pasture and forest. This land grab allowed the acquisition of roughly twice as much land as was necessary for the land inundated by the resulting Tellico Lake and proper easements. 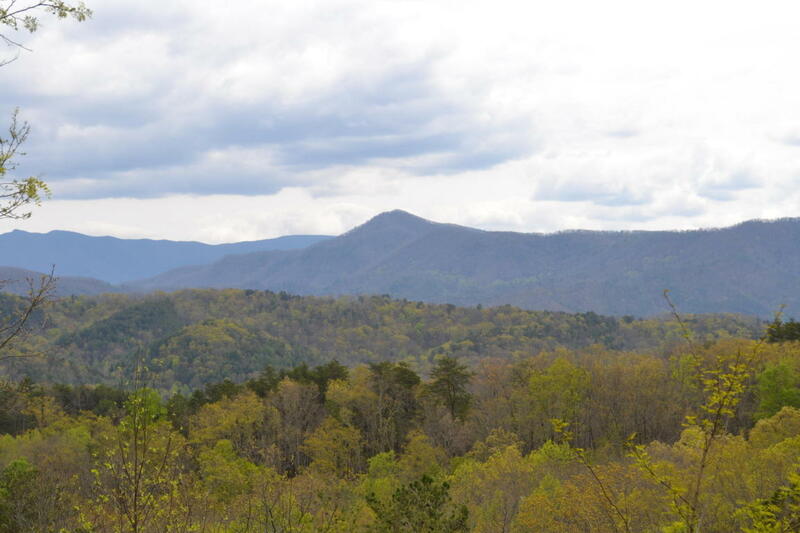 This land was then transferred to the Tellico Reservoir Development Agency (TRDA) a puppet agency created to allow the transfer of this newly acquired TVA land to large developers. Some of the land is now being sold in 1/4 acre lots in the development for as much as $200,000 dollars. The average price paid to the original land owners was about $200 per acre. And County, State, and Federal Agencies sanctioned this amazing grab of private lands. An article in the Knoxville News Sentinel described the situation as local land owners, fisherman, and environmentalist argued in congressional hearings in an effort to stop the Tellico Dam and save the Little Tennessee River for posterity. A quote from this article says, ''...arrated against this meager force were ranks of beady eyed bureaucrats pork barrel congressmen, biased news media, prejudiced jurist, and greedy local promoters and politicians". The rights and freedoms of individual property openers throughout the nation suffered a major setback in the Tellico Project and mere words or government reports cannot described the untold anguish of families uprooted from there life long homes. Ironically, TVA itself in its Alternatives for Completing the Tellico Project admitted that the area could be developed just as well or possibly better without the Tellico Dam. The encroachment of an out of control Federal government into the lives of the inhabitants was nearly a death blow to the Town of Vonore as the Tennessee Valley Authority continued with the Tellico Project. Indeed the plans for a new Town of Timberlake (a planned community based on river resources) were almost implemented. 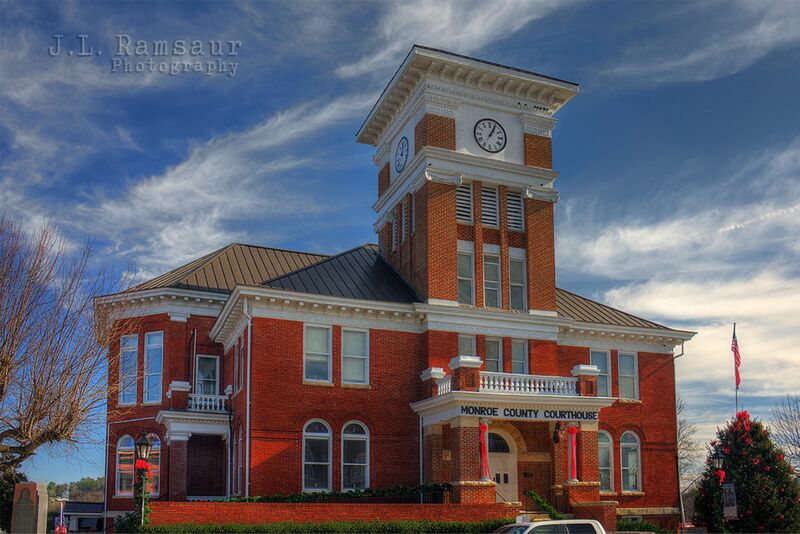 Some of the new industries tried to unofficially call the area New Tellico or Tellico Lake. Local State, and Federal Authorities seemed intent upon replacing the Town of Vonore with a government planned entity. The puppet agency, TRDA was authorized to control the development of the land acquired from TVA. Vonore was the only municipality directly affected by the Tellico Dam, and quite significantly Vonore was, and is the only municipality not represented on the Tellico Reservoir Development Agency Board. This means that the development of the Town of Vonore and its surrounding communities is in the hands of persons outside the area. To this day there are practically no state highway signs providing directions to the Town of Vonore despite the town being the site of the Fort Loudoun State Park the Tellico Blockhouse and the Sequoyah Birth Place Museum. 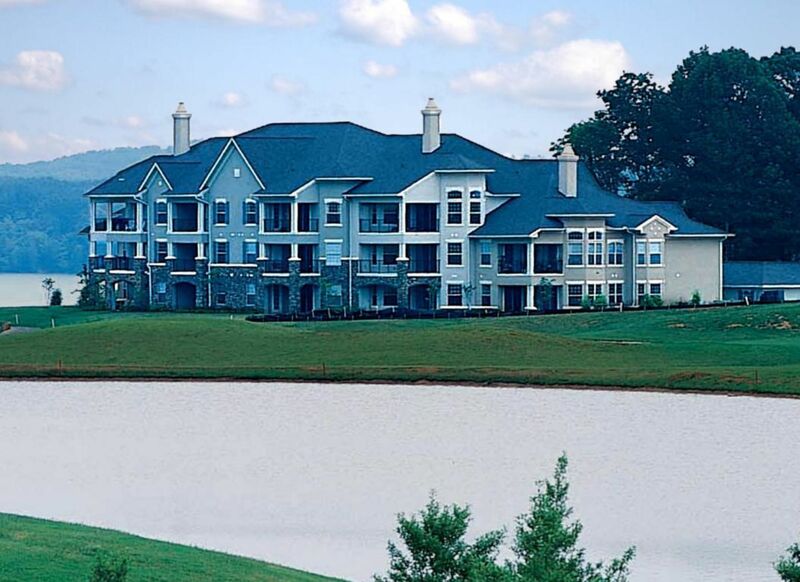 Efforts by government and industry officials are to emphasize "Tellico" in describing the area (Tellico Lake, Tellico Village, Port of Tellico, Tellico Industrial Park, etc.) but the Town of Vonore still exists and maintains an identity much to the dismay of government planners, local media and politicians. 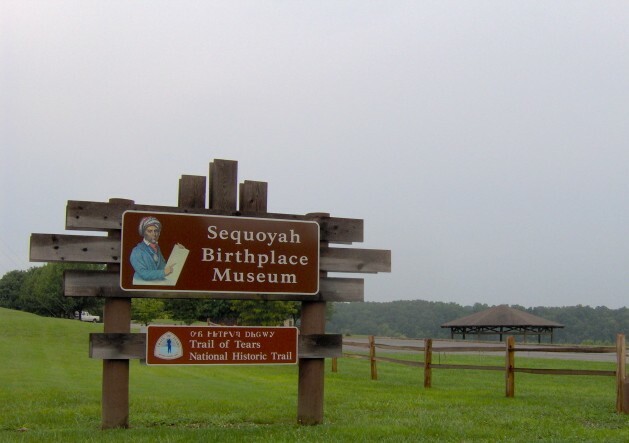 Sequoyah was born circa 1776 at the village of Tuskeegee, which was very near where the Museum is today. His father was Nathaniel Gist, a Virginia fur trader. His mother was Wut-teh, daughter of a Cherokee Chief. Sequoyah married a Cherokee, had a family and was a silversmith by trade. Sequoyah and other Cherokees enlisted on the side of the United States under General Andrew Jackson to fight the British troops and the Creek Indians in the war of 1812. Although Sequoyah was exposed to the concept of writing early in his life, he never learned the English alphabet. He began to toy with the idea of literacy for the Cherokee people. Unlike the white soldiers, he and the other Cherokees were not able to write letters home, read military orders, or record events as they occurred. After the war, he began in earnest to create a writing system for the Cherokees. When he returned home after the war, he began to make the symbols that could make words. He finally reduced the thousands of Cherokee thoughts to 85 symbols representing sounds. He made a game of this new writing systems and taught his little girl Ayoka how to make the symbols. In 1821, after 12 years working on the new language, he and his daughter introduced his syllabary to the Cherokee people. Within a few months thousands of Cherokees became literate. By 1825 much of the Bible and numerous hymns had been translated into Cherokee. By 1828 they were publishing the "Cherokee Phoenix," the first national bi-lingual newspaper, along with religious pamphlets, educational materials and legal documents. In recognition of his contributions, the Cherokee Nation awarded Sequoyah a silver medal created in his honor and a lifetime literary pension. He continued to serve Cherokee people as a statesman and diplomat until his death. Updated: 25th April, 2019 9:01 AM.